How can I mute the Audio Track in Sony Vegas? 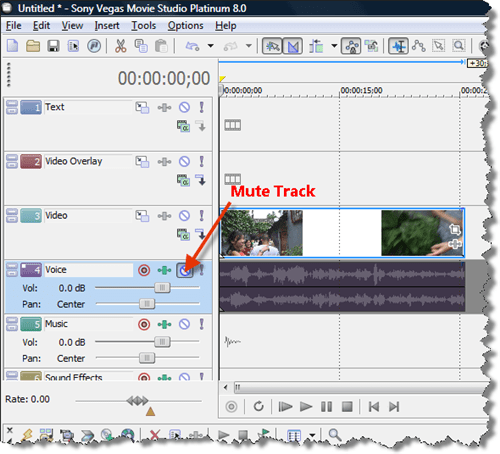 You can mute any track in Sony Vegas by simply clicking on the mute button associated with the track. That turns of the audio in the preview and if you choose File > Make Movie, the final movie will also exclude your audio track.